Various conversations with business professionals reveal that many are unaware of the fact that most business entities in Europe, Asia, North America, Central and South America are SMEs or small or mid-sized enterprises. SMEs account for UK 67.4%, Japan 79.8%, United States 51.2%, Italy 83.6% of employment in their respective manufacturing sectors. In Trinidad and Tobago in the Caribbean, 95% of services provided to the Government are from Small Businesses. Entrepreneurs and Small Business Owners around the globe face a common set of opportunities, constraints, and challenges on one hand, and a drastic different set of factors, be they political, economic, technological on the other hand. The business community in Trinidad and Tobago carefully monitors the Global Oil Price as this dramatically impacts government revenues, which affects its ability to procure services from local SMEs. The bottom line is that all SMEs have much fewer resources, ability to absorb shocks from global and local market and economic volatility than their Big Company counterparts. It is from this backdrop, I present this article based on reflection on the concept of Total Cost of Ownership. Background: I recall my role as Purchasing and Warehouse Operations Manager for a Small Food Manufacturing Plant in Long Island City. The company manufactured and distributed frozen and fresh food products across the United States. We had gotten into the frozen bread business for about two years and the business had grown substantially. It was quite clear that our processes, technology, machines, and space were at breaking points. As a small business with limited resources, we had to solve our problems quickly and decisively at very minimal cost. With a high level of confidence, one can assume that this approach to business problem solving is a global phenomenon. One morning my dear colleague, the Production Manager came to my office to discuss the fact that our Frozen Bread Inventory System was totally broken, and that he was holding me accountable for the failures. He articulated in clear terms that the erroneous inventory reports furnished to him by my warehouse staff caused him to produce erroneous quantities of bread and exposed the company to the loss of substantial contracts. The production manager planned his production schedule based on ship date and the quantities of inventory reported to him. Taking Laser Focused Ownership of the Problem: I decided to assemble a Cross Functional Team with members who had influence and power in the organization but a level where they were strongly connected to the process and the people on the Gemba (Shop Floor). The team took an oath to focus on the issues, interests, customer requirements and put egos aside with no blame game. We immediately set out to truly understand the nature of the problem, define team member roles, set timelines, assumptions, understand impacts on customers, and determine our ability to change. As a Small Business, facing supply chain issues, with limited problem-solving talent, these were formidable tasks. The DMAIC Model was leveraged throughout the reflection on Total Cost of Ownership in the Supply Chain. Define Phase: The team agreed to draft up a charter to keep focused, accountable, within scope and on schedule. This charter was a critical point of reference for our problem-solving project. The problem statement component kept us laser focused on what the scope of the project was and was pivotal in defining what we were attempting to improve. The business case component served as a rationale for expending resources to execute the project. Time bound, and clear goals were also stated on this essential document. One of the most critical concepts was the Scope Statement of the charter, once we agreed on the scope, we stuck to it, and the risk of scope creep or taking on too much, was eliminated. The roles and realm of accountability was clearly laid out in the project charter. In the assumption section we agreed that there may be significant resistance to change and we documented a Resistance Management Strategy to mange change and reduce the risk of project failure. Measure Phase: Armed with the Charter and Resistance Management Strategy, the team went on to collect data to measure and understand the true capability of the Inventory Reporting Process. We agreed on a data stratification format and executed it. This set of activities revealed the true nature of the gap between current performance and the desired state. Figure 2 gave the project team a clear visual on areas to target. A moment of awakening was upon me as the process I was managing was forcing my team to make errors in data entry, creating a stupendous chain reaction of cost, frustration, poor quality products and services. 98.4% accuracy was just not good enough for our operation. 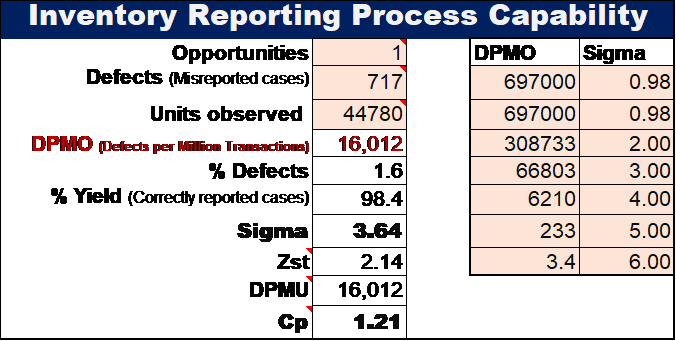 Figure 3 provided more insight on the current state of the process. The cost of poor quality or the cost of not meeting internal and external customer requirements was staggering for a small business. The writing was clearly on the wall. Analyze Phase: During the analyze phase the project team was able to derive the root causes of the problems in inventory reporting. This gave us the ability to develop targeted solutions to the most critical dimensions of non-conformance. A Failure Mode and Effects Analysis (FMEA) Matrix was used to analyze the root causes relative to the degree of risk they represented, as well as to prioritize improvement efforts. The Risk Priority Number (RPN) is an indication of the degree of risk some process element posses. An RPN of 1000 is the maximum level. The formula for RPN is Severity x Occurrence x Detection. Improve Phase: During this phase the team pilot tested and implemented the recommended actions from the FMEA. But not before we did a Cost Benefit Analysis. The cost was insignificant, and the results were monumental. In a matter of weeks, the team was able to remove significant cost from the supply chain and Total Cost of Ownership of our products on behalf of our customers. Control Phase: The team had much reason to celebrate, but we knew we had to tie up some loose ends to make sure the changes stuck and were sustainable. This was a journey of reflection of Procurement Professional on Total Cost of Ownership. You’ll learn the two current approaches to procurement recruiting, how to use the SPSM-BOK® Mastery Model to plan procurement training, and five powerful retention techniques. If you’re a leader attempting a procurement transformation, you must read this whitepaper!